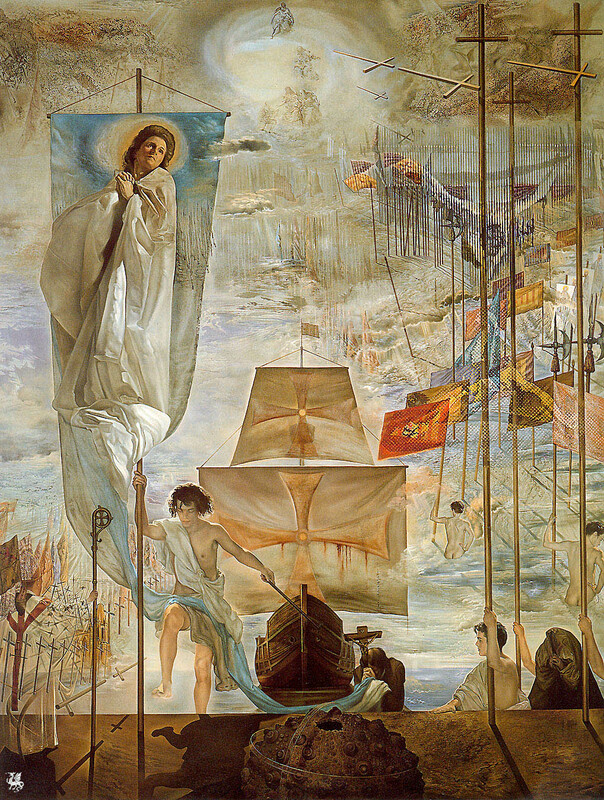 Of course he painted other master works in other decades, but to me, it is as if he had made a vow, around the decade that I am talking about, to leave specially beautiful and majestic works to posterity. In effect, I have been doing some research and during it several points have come to light, like his emotional frame of mind over that period of time, his specially arduous dedication to planning and executing those works, the huge size of most of them and, among other fascinating details, his realizing them on a definite geometrical pattern, which by the way, evidences how much he owed in the matter of inspiration and in his composition skills to the works of the great masters of the Renaissance and other European schools – with particular emphasis in Velazquez and Vermeer. 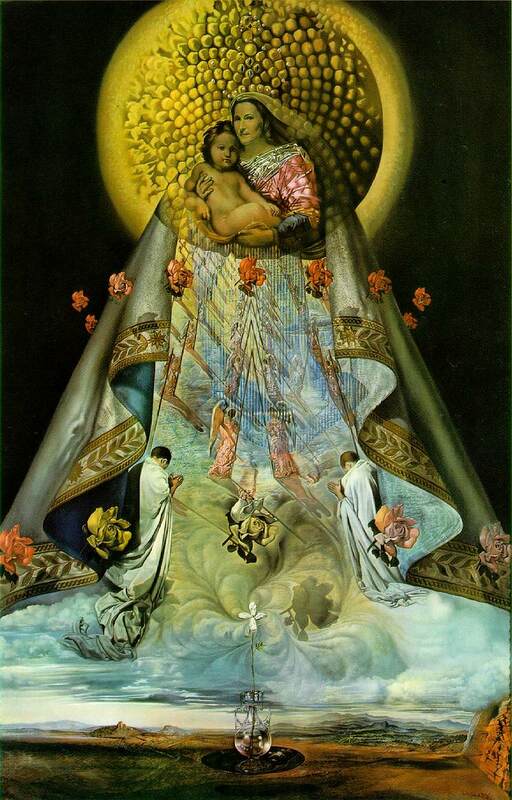 Something that is immediately visible, for example, is that he painted his first version of The Virgin of Port Lligat (seen above) immediately after completing his Leda Atomica, both in 1949, and that the latter follows exactly the same geometrical pattern than the former and, of course, than its second version of 1950 (below). 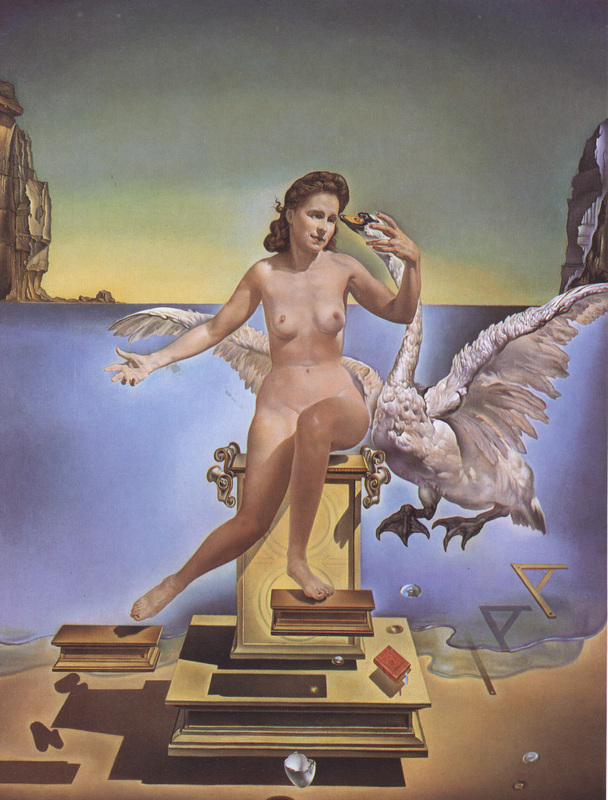 Here is the image showing this pattern in Dali’s Leda Atomica; how it was inspired in turn by Leonardo’s Leda and the Swan can be seen in the image immediately below. 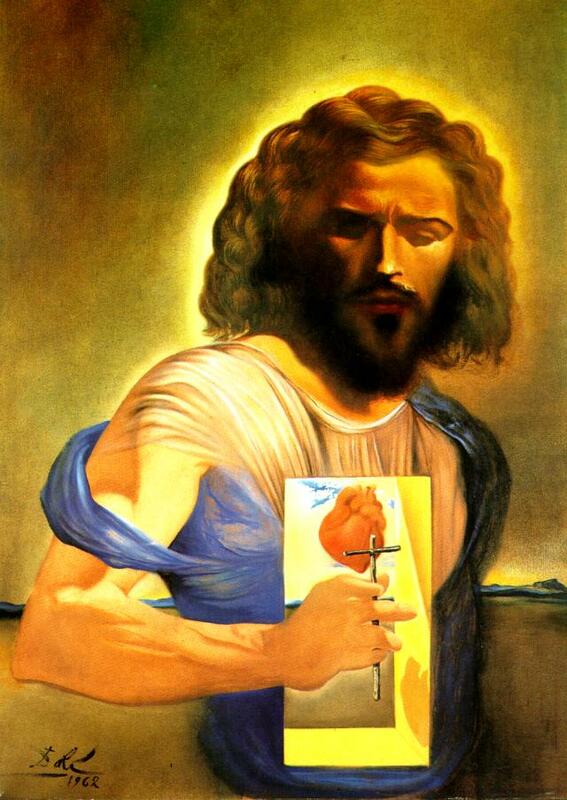 Similar patterns can be found in Dali’s Virgin of Guadalupe, in his Asummpta Corpuscularia Lapislazulina, in ‘Santiago el Grande’ and, of course, in his Christ of Saint John of the Cross (see below). 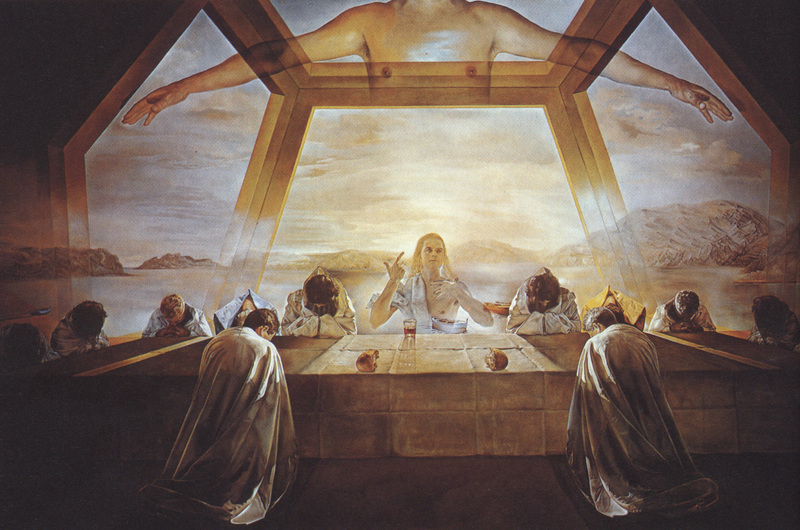 In The Sacrament of the Last Supper of 1955, however, one of his best known horizontally-oriented religious paintings, Dali would resort – again following Leonardo’s lead, yet in another direction – to the ‘Golden Ratio’ or Phi, also known as the ‘Divine Proportion’. But this is an altogether different story, and you may find a complete explanation of it here. 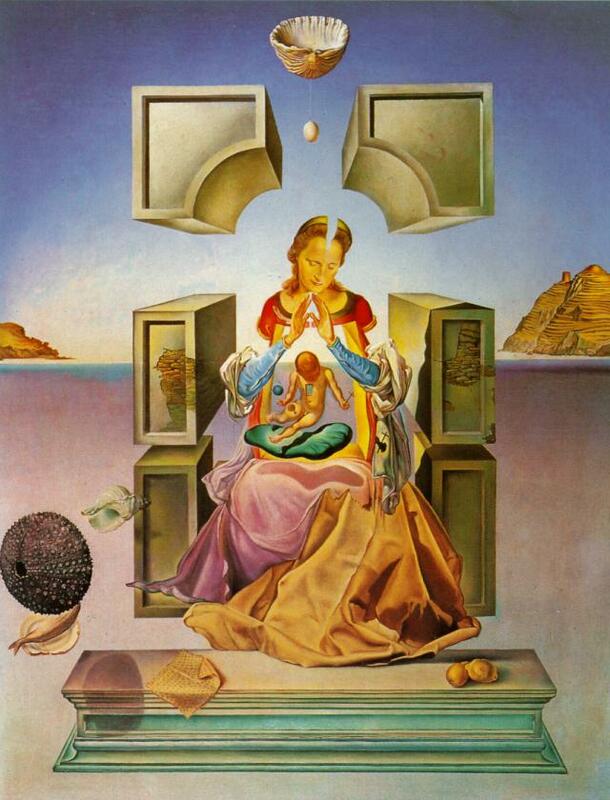 And so on, so forth for all Dali’s religious master works of that magical decade. Thanks, Luis, for this great blog post. 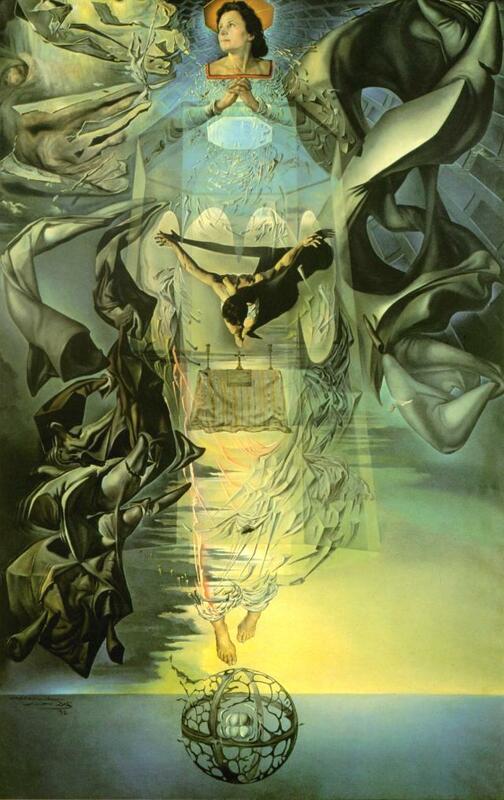 What a great master Dali was. 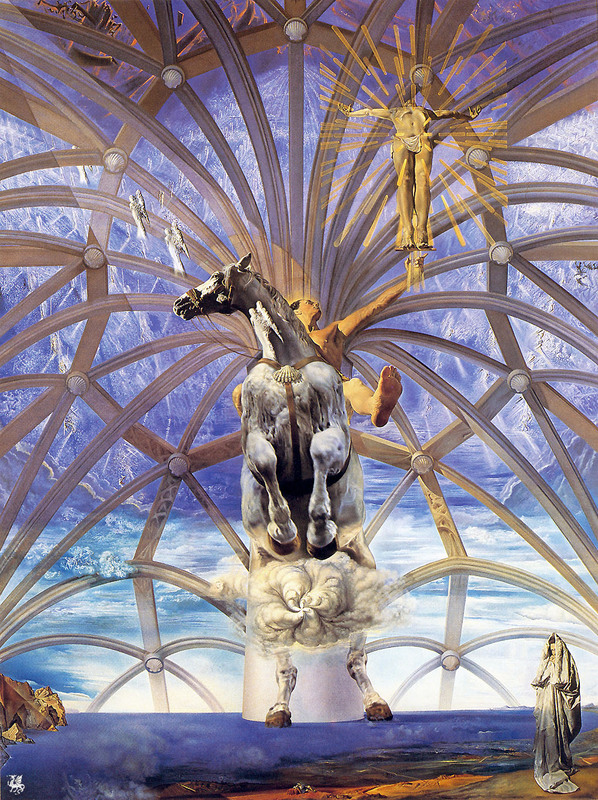 Totally amazing and completely enthralling works of art. 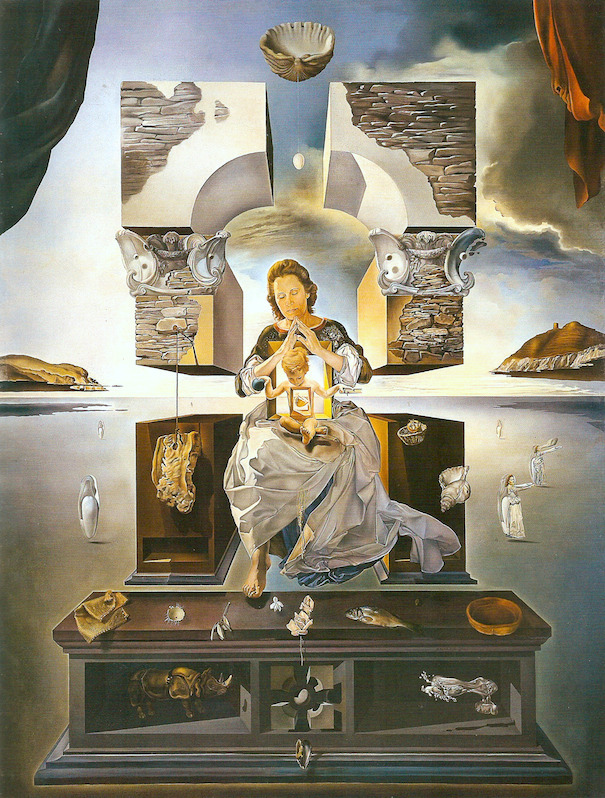 I have learned more from you about art and in particular Dali than I have in my whole life. What an incredible man he really was and this has been a joy to read!